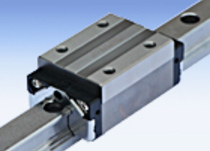 LinTech has available 3 different profile rail linear guide versions to choose from. There are short, standard, and long block versions available in each series, which allow the user to match the different capacities to the requirements of the application. Each bearing block has available different end and bottom seal versions and a self, long lasting lube option. 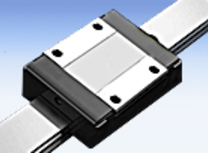 The 2 row re-circulating miniature square rail MR series linear guide is available in sizes from 2 to 15 mm. The block and LM linear rail is made of 440c stainless steel and has several different seal options for the block end and bottom. The MR series is ideal for small space environment applications requiring light to medium load capacities, while maintaining very precise positioning accuracy and repeatability. 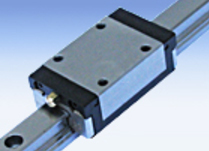 The 4 row re-circulating standard load capacity ARC series linear guide series is available in sizes 15 to 45 mm. The heavy load capacity HRC linear guide series is also available in 15 to 45 mm sizes, and is designed for those heavier load applications. There are short, standard, and long block versions available in each series, which allow the user to match the different capacities to the requirements of the application. Each bearing block has available different end and bottom seal versions and a self, long lasting lube option. Either the ARC or HRC block can fit on the same size alloy steel linear rail. LinTech allows the user to select any length rail to the nearest millimeter when ordering and precision cuts the rail to the requested lengths.